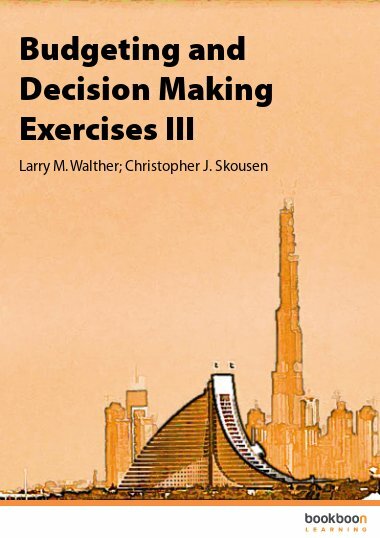 This exercise book is the last of four exercise books that correspond directly with the Budgeting and Decision Making textbook. 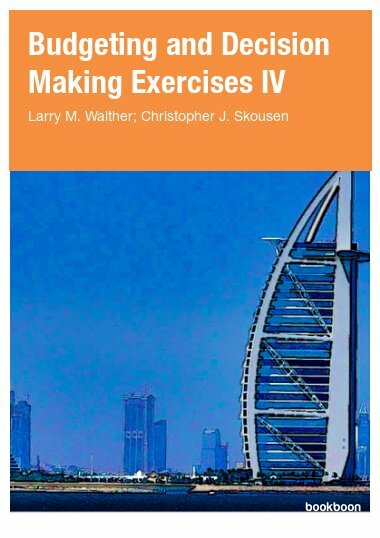 This exercise book is the last of four exercise books that correspond directly with the Budgeting and Decision Making textbook. 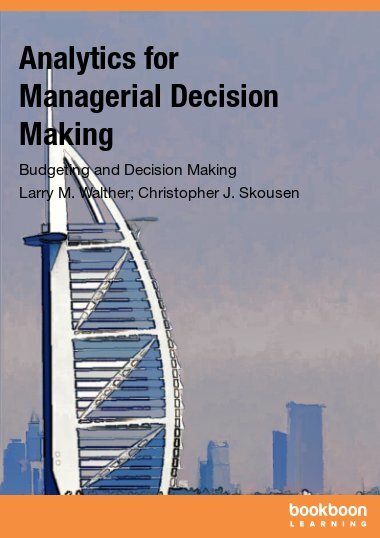 The exercises relate specifically to Part 4 of the Budgeting and Decision Making textbook. 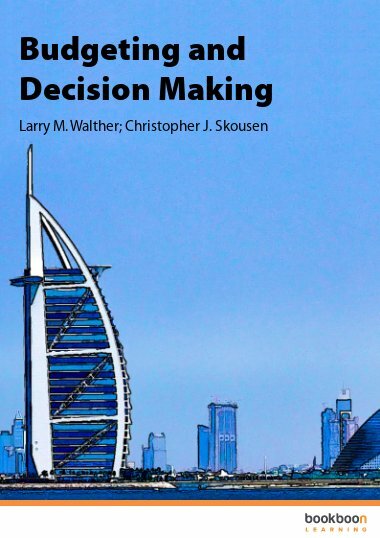 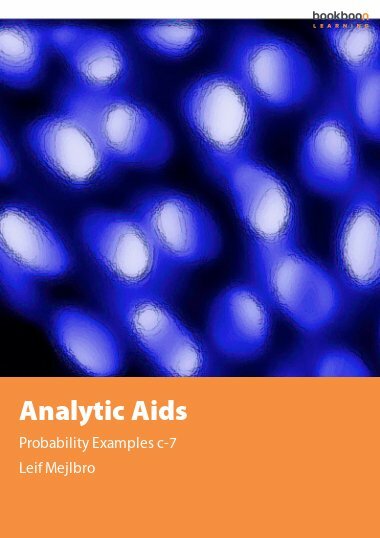 Exercises focus on analytics for managerial decision making. 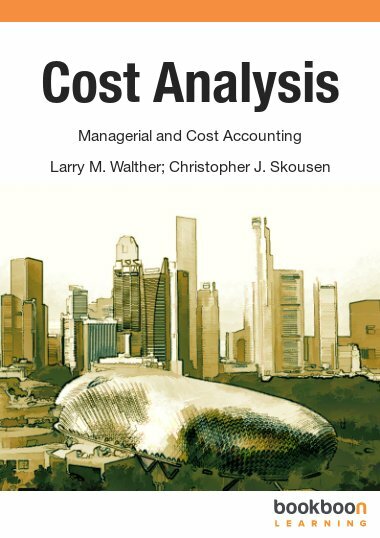 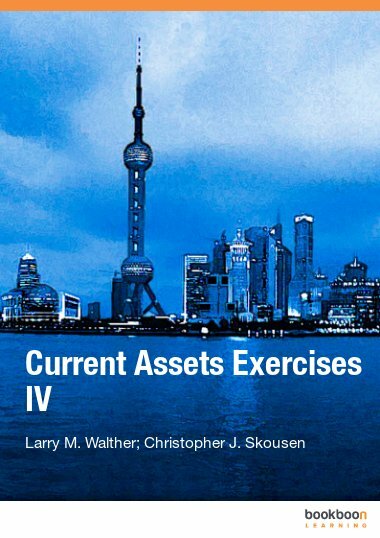 Exercises include problems covering sunk costs versus relevant costs, capital expenditures, compound interest and present values, evaluation of long-term projects, net present value, accounting rate of return, and internal rate of return.